Mojo Jojo has decided that because he can never destroy the Powerpuff Girls, he'll do the next best thing: zap them into another time!!! He uses his patented 'Time Tie' to blast the three little heroes back into three separate eras in the past. Can the girls find their way back to the present before Mojo can fulfill his mission: The complete destruction of Townsville! 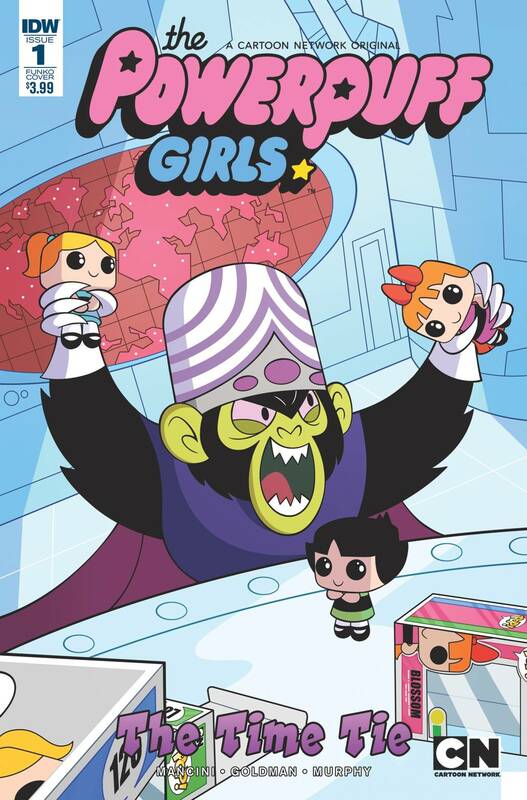 Bullet points: The Powerpuff Girls are back in a brand-new three-issue series! Each Powerpuff Girl travels to a different era and place in time in her own special issue!